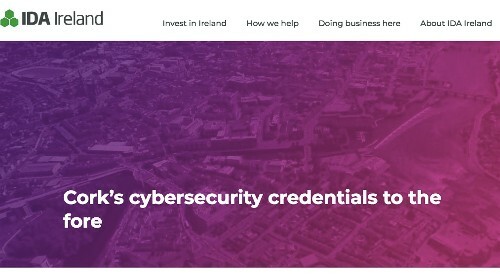 In a recent blog by the IDA (Ireland's inward investment promotional agency) Cork was identified as a 'hidden gem for Cyber Security'. Some of the Worlds top Security companies like Trend Micro, AlienVault, Cylance, eSentire, FireEye, Malwarebytes, McAfee, Sophos, VMWare and Keeper Security are all located in Cork. Cork's technology infrastructure, talent pool and supportive academic network were identified as being key. The IDA also referenced the International Security Accelerator as one of the key areas of the expanding ecosystem.